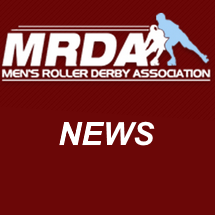 The MRDA, the international governing body of men’s roller derby, has added two new leagues to its ranks. The first league is from Glasgow, Scotland; Glasgow Men’s Roller Derby (https://www.facebook.com/GlasgowMensRollerDerby). The league formed in August 2016 as a group of skaters that wanted a more competitive focus within roller derby. They are looking forward to more growth in roller derby and the MRDA as well as the leagues within it and seeing the competitive pool of talent rise. The second are from Adelaide, Australia; Light City Derby (https://www.facebook.com/LightCityDerby). The league was established in July 2011 and we look forward to their contribution to men’s roller derby.